The years of genealogical research have enabled the Laurel family to trace their ancestry to a scion of the Sultanate of Brunei in the 15th century before the coming of the Spaniards to the Philippines. The Sultan’s eldest and heir apparent had refused the throne because he loved to explore, travel, and seeking adventures so he traveled before he settled in Batangas, Philippines. So many years and histories gone by, the Laurels became not just the highest political leaders in the Philippines but also established the name in business. Being a leader is in the blood for these powerful family in the Philippines. So much has been written with the descendants of President Jose P. Laurel who was the president of the Second Philippine Republic during the Japanese occupation. The same as other historical figures, we are curious about the descendants’ whereabouts or about their works and sacrifices, something of great value. One Laurel particularly a soft spoken woman who is always behind the limelight unlike her popular siblings is Nita Laurel Yupangco, currently the only living daughter of President Jose P. Laurel. Her only daughter, Regina Victoria Laurel Yupangco De Ocampo currently manages Filremit Corporation, Manila Express and Manila Cargo Express , companies that serve the Filipino people all over the world. Filremit Corporation services the needs of Filipinos around the world particularly paying out any need for their love ones in the Philippines. Manila Express has been connecting overseas Filipinos in Canada to home since 1985 valuing the relationship with customers built on trust and reliability and offering money transfer and door-to-door cash deliveries to Metro Manila and other provinces in the Philippines nationwide. Manila Cargo Express is a full service branches across Canada, offering sea cargo shipment from Canada and to any part of the Philippines and one of the largest balikbayan box businesses in Canada with the fastest lead time in sending sea cargo to the Philippines, upholding high quality from double ply corrugated balikbayan box to barcoding system for accuracy and tracking efficiency. 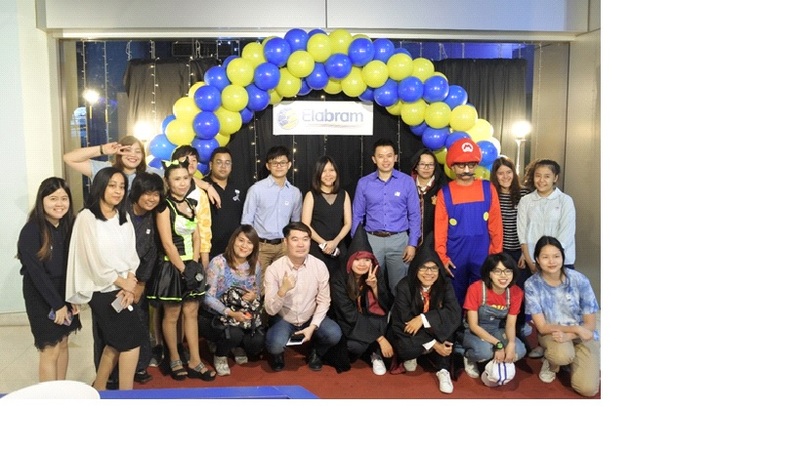 A blast to end the year with a Cosplay Party and Elabram Systems Team in Thailand chose to be daring this time which was recently held last month to celebrate the year end tradition. 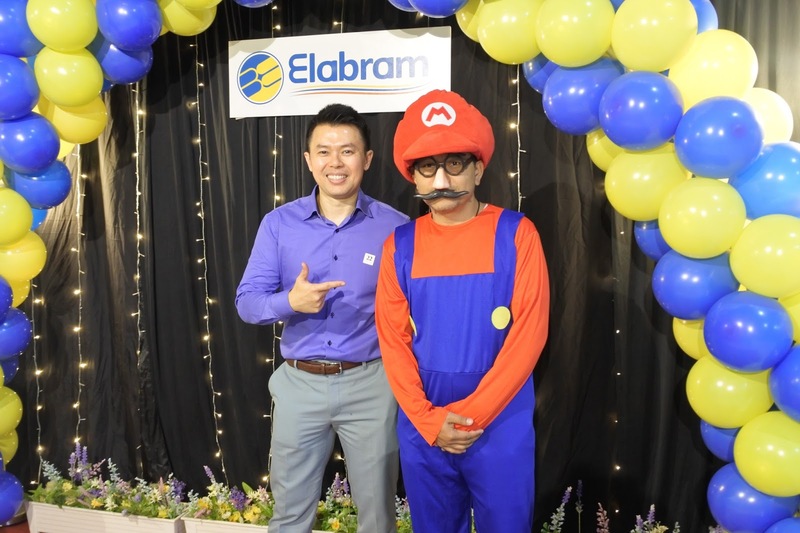 Activities includes the Gift Exchange, Costume Competition, Performance Award and lastly, to belt out the voices for singing, a Karaoke time with the attendance of Elabram Systems Group Managing Director, Mikel Yaw. Cosplay, a combination of the words costume play, is a hobby in which participants called cosplayers wear costumes and fashion accessories to represent a specific character. At Elabram, we take our recruitment processes seriously. We hand pick 'crème de la crème talent to match the skill set required by our clients and associates. More importantly, we evaluate and assess the capabilities of both parties to ensure compatibility and the ability of the talent in meet the job demand. Let's include now also talented and funny manpower. What we all need these days. Happy New Year!!! Robert L. Yupangco (RLY) of Zoomanity - Yupangco Group won in Asia Pacific Entrepreneurship Awards (APEA) 2017 recently held at Makati Shangri-la Hotel. APEA is the most prestigious award for entrepreneurship in Asia and Pacific Region given to business leaders for their outstanding leadership and entrepreneurial excellence in a specific field. Asia Pacific Entrepreneurship Award (APEA) for Tourism, Hospitality and Food Service was awarded to Mr. Robert Laurel Yupangco (RLY), President / CEO of Zoomanity- Yupangco Group for his exceptional contribution in the tourism and hospitality business sector. Through his knowledge and experience, RLY established the foundations of Yupangco Group such as Yamaha School of Music, Sound Publishing Corporation, YL Development (Real Estate), Yupangco Electronics Corporation and YL Finance Corporation (micro financing, consumer financing and remittance services) with the help of his siblings and his mother who is the matriarch of the family. From music and finance sector, RLY saw the potential in tourism and hospitality industry, he expanded and build Zoomanity Group Corporation. With almost 2 million visitors per year it is considered as one of the leading companies in zoos and theme park industry with 8 local and international parks namely, Zoobic Safari in Subic, Zoori (Zoo at Residence Inn) in Tagaytay, Paradizoo Theme Farm in Mendez Cavite, Zoocobia Fun Zoo in Clark, Pampanga, Zoocolate Thrills in Bohol, Zootopia in Nagano, Japan and Animal Conservation and Breeding Center in Australia. Having an extensive experience in developing and managing companies in tourism, farming and hospitality sector, he is now called "The Modern Day ZOOper Man" who has a vision of creating the Philippines as "One Big Green Resort and Theme Park", a complete tourism ecosystem that provides not just zoo tourist destinations but also tourism hospitality services such as hotels, restaurants and transportation. He engages now in putting up different restaurants under Chefmate Corporation that operates the following: Jinsei Sushi Bar, Misono Teppanyaki Restaurant, Nanten Japanese Restaurant, Midori Japanese Restaurant, Samgyupsalamat by Korean Alley, Korean Lane Development Corporation, Unli City (Unlimited Meals) and Ruins City Garden. These restaurants offers fresh, wild and sustainable seafood that are distributed with the help of Alaska Seafood Philippines and Seaking Seafood Products/ Super Catch Inc.
RLY also take part in transportation industry thru his various motor projects under Zoomanity Wheelz that offers Vans, Coaster, Tram Rentals, Pitbull, Multi cabs, Pitcabs Golf cars, Zooper Cars and Chartered Bus transport and services thru his partner Bel Air Bus Charter Corporation. RLY quoted Peter Draker's sayings "Our business is simply Marketing and Innovation." He is now also involve in developing innovative products in different sectors. In agriculture, a multi-million greenhouse project with Calata Group Corporation is in the pipeline. In entertainment sector, Modi, an all in one entertainment device is now launched in the market, a partnership project with Modtech Global. And of course Tourism industry, soon he will open "GlampZ" or glamorous camping at Zoomanity in partnership with Eunina Mañgio. He will create another legacy as he expands his business by establishing a 3-in-1 masterpiece called "Galleries of the World" in partnership with Pacific Concrete Product Inc. and WCL Solution Inc., which showcases the Wax Muzeum, La Galleria and FunZ. The event will not be more meaningful without the attendance and support of Robert's family. His mother, Nita Laurel Yupangco came along with his only sister, Regina Yupangco De Ocampo. Successful companies are making sure to give back known as Corporate Social Responsibility or CSR. These entities make a positive impact on the environment and stakeholders including consumers, employees, investors and communities. Companies need to instill a culture of giving back and such efforts always need to start from the top management. Giving back not only drives change in your community but also within your organization. the organization, as well as to serve as a guide to what the company represents for its consumers. Regina also believes that in every success lies the people who worked hard to attain it. 1. New technological innovation thru Filremit system around the globe. 2. Increase pick up points all over the Philippine Islands. 3. Intensify coverage of sending thru Filremit thru partners around the globe. 4. Provide other services such as payout for credit card transactions, online shopping, delivery of these goods thru its subsidiary Manila Cargo Express. 5. And most importantly for its Corporate Social Responsibility, to give back to their overseas clients by creating a fund for them to sustain their retirement and provide security to their families. The organizers of APEA have stringent entry criteria and highly competitive judging parameters. Nomination is by invitation only, with each nominee subjected to a rigorous judging process, including financial verification by an appointed audit firm and mandatory physical site audit and interview, culminating in a confidential balloting process by Enterprise Asia's committee.